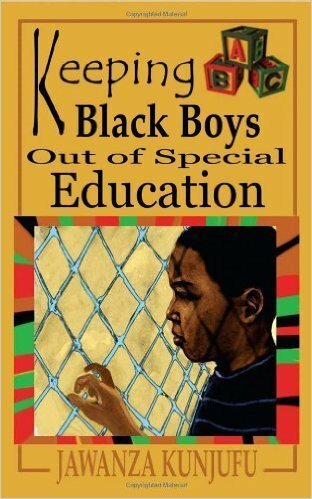 This critical analysis looks at the disproportionate number of African American males in special education. Arguing that the problem is race and gender driven, questions covered include Why does Europe send more females to special education? Why does America lead the world in giving children Ritalin? Is there a relationship between sugar, Ritalin, and cocaine? and Is there a relationship between special education and prison? More than 100 strategies to help teachers and parents keep black boys in the regular classroom, such as revising teacher expectations, increasing parental involvement, changing teaching styles from a left-brain abstract approach to a right-brain hands-on approach, redoing the curriculum, understanding the impact of mass media, and fostering healthy eating habits.